This is only front end interface which allows only to read informations. 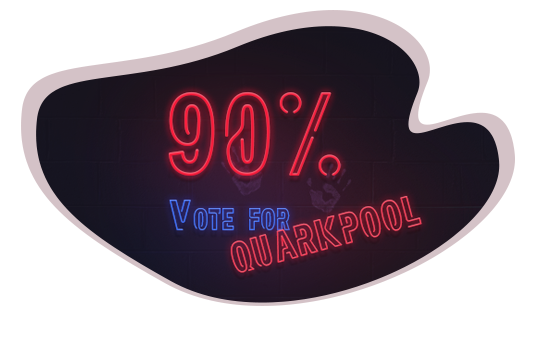 In order to start forging you need to vote for QUARKPool delegate "quarkpool" (Abi3CE3k7XzYGtLjG7toZ5fF31stSmW55H) via ARK client. More delegate informations can be found in Stats tab. Pool will proportionally share 90% of forged blocks revenue to people who voted. This pool is working on main network. Payments interval is 24h if earned more than 4 ARK. If you voted for QUARKPool information will appear on Stats tab as soon new block is forged. NOW THE POOL IS PAYING FOR ALL THE TRANSACTIONS! GET THE MOST REWARD!